Governor Kim Reynolds says damage from the flooding in the state now totals $1.6 billion and she is asking President Donald Trump to grant the state an expedited Major Presidential Disaster Declaration for 57 counties. Reynolds says the commander of the Iowa National Guard will do a follow up today. “They will be doing a fly over with FEMA, which is actually kind of probably the last piece with what we submitted with the expedited disaster relief that we sent in,” Reynolds says. The governor says they have moved as quickly as they can to get the information to the president. She says they are hoping to get an acknowledgment within two days. Reynolds says she is confident after touring the area Tuesday with the Vice President that the federal designation will get approved. Reynolds says they are still doing some response, but have shifted to recovery mode and are looking for ways to address the short and long-term needs. Initial estimates gathered by local officials indicated more than 23,000 structures were affected or received minor damage, and 1,201 received major damage or were destroyed. She says they still have people on the ground told federal officials that there could be more damage added to the list as the floodwaters continue to recede. Iowa Guard Adjutant General Tim Orr talked about the inspection planned today. “Really to solidify and look at the damage that’s there to reinforce to reinforce the presidential (request) that’s been submitted. I am also going to try and get on the ground and see the troops at Hamburg and Glenwood to going well in that operation,” Orr says. The governor requested funding under the Federal Emergency Management Agency’s Individual Assistance Program for Crawford, Fremont, Harrison, Ida, Mills, Monona, Montgomery, Page, Plymouth, Pottawattamie, Shelby, and Woodbury counties. 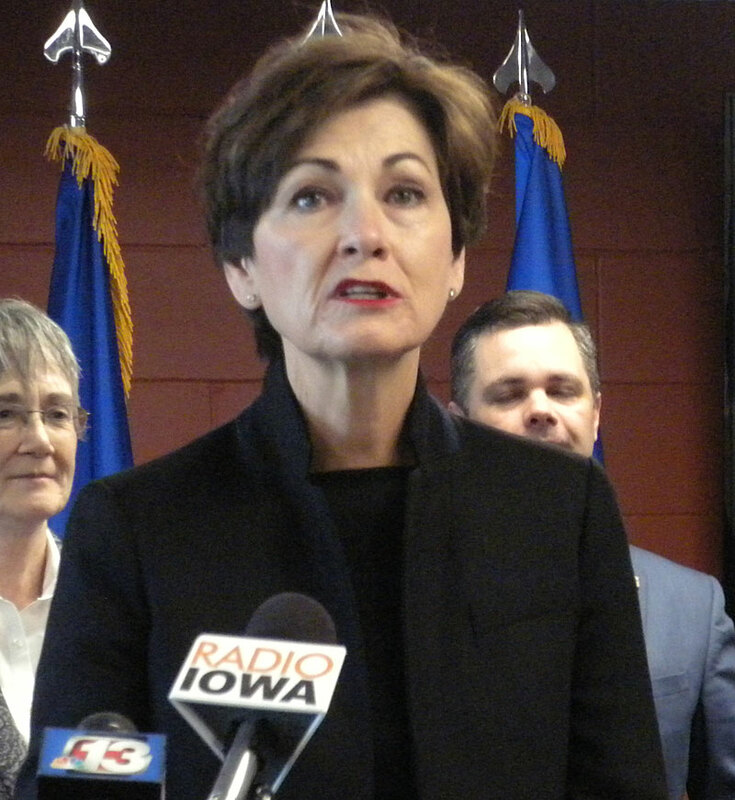 Reynolds also requested funding under FEMA’s Public Assistance Program for the repair or replacement of public infrastructure, including roads and bridges, for Adair, Allamakee, Audubon, Black Hawk, Boone, Bremer, Buena Vista, Butler, Calhoun, Carroll, Cass, Cherokee, Clay, Crawford, Dallas, Decatur, Dickinson, Emmet, Fayette, Franklin, Fremont, Greene, Guthrie, Hamilton, Hancock, Hardin, Harrison, Howard, Humboldt, Ida, Iowa, Jasper, Kossuth, Lyon, Madison, Mahaska, Marshall, Mills, Monona, Montgomery, O’Brien, Osceola, Page, Plymouth, Pocahontas, Polk, Pottawattamie, Sac, Shelby, Sioux, Tama, Union, Webster, Winnebago, Winneshiek, Woodbury, and Wright counties.